If you have been trying to go blonde at home using box hair dye or just peroxide, read on. There is a very easy way to get the blonde hair you desire without using any bleaching powder at all! The soap cap or bleach bath, another name this process goes by, can be used to freshen up your already blonde hair, to lighten your darker hair, or to blend the color of root re-growth. The soap cap is easier to blend through your hair rather than following the bleach and developer mixture according to the instructions on the bleach powder packet, and trying to handle the brush and bowl to do it. This is a very handy method to learn. Also, you can do this on your own and won’t need a friend to apply bleaching powder and developer mixture to the back of your head for you. I have included two soap cap combinations in this article—one with bleaching powder, and one without. 1. If you want to lighten your hair so you can dye it or use your preferred toner to add the desired color/shade. 2. If you dyed your hair, and it turned out looking way too bold. Ex: too black, brown, or red. If your hair is porous, this could easily happen. 3. If you used toner and your roots, or other areas of your hair, came out too silvery and now you look like your hair is just gray and not blonde—use a soap cap. This graying effect often happens when “ash” toners are used and left on for too long, or if you started by toning your roots first. 4. If you want to "break the base" (which simply means to apply it to the roots to lighten any re-growth), then blend the rest of the mixture through the hair to even out the entire head of color. The developers used to mix with bleaching powder and toners (or in this case, in your soap cap mixture), all have some amount of peroxide in them. The 20 Volume Developer contains 6% peroxide, the 30 Volume Developer contains 9%, and the 40 Volume contains about 12% peroxide. The bleaching powder and your toners are activated when mixed with the developer. First things first: wear gloves! Then, mix equal parts of bleaching powder, shampoo, and 20 Volume Crème Developer. I wet my hair and towel dry first to dampen my hair a bit. This is because the mixture goes through hair more evenly and with more ease than it goes if your hair were completely dry. Start with the roots if you’re trying to lighten re-growth. Then, mix all the way through the hair after the roots are also covered with the soap cap mixture. Cover your hair with plastic wrap or a plastic shower cap. The bleach will continue to process as long as it is wet, and the heat from your scalp also contributes to its activation. Tip: If you don’t have a shower cap or plastic kitchen wrap, you’ve probably got a gazillion plastic grocery bags in your pantry cupboard. Use one of those, and tie the handles of the bag to secure it. I have used Wal-Mart bags on more than one occasion. Recycling rules! Now, if you don’t have any bleaching powder, or you’d just prefer not to use it, you can still lighten your hair significantly by making a soap cap with equal parts of shampoo and developer, and then add some peroxide and a small quantity of baking soda. 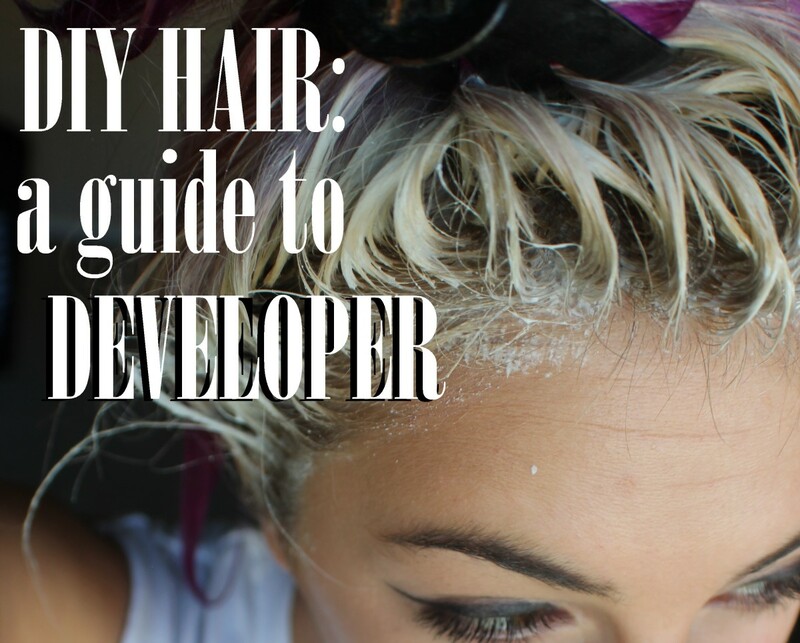 Be careful not to over-do it with this mix—I can see how tempting it would be to use a stronger developer like 40 volume to add extra peroxide, or to leave it on your hair too long. However, if you do any of those things, you risk causing serious damage to your hair that can not be rectified without having your head shaved. I also add two or three capfuls of conditioner to make this a milder mix, and to create a protective buffer for my hair. The capful* I refer to is the cap from the developer bottle. Of course you can use measuring spoon measurements if you have a set of those—just be sure the parts you measure are equal parts of each ingredient. The main thing is to get those ratios right. So, it doesn’t matter what you use to measure the product. I just do it this way because I know how much I need to mix without having any leftover. In this mixture, it is the reaction of the baking soda and the peroxide/developer that causes your hair to lighten. Note: It has also been pointed out to me that this mixture technically is a bleach. However, as some of you are sensitive to harsh hair processing chemicals, this is a great alternative. Also, do not keep any mixture if you have some leftover—throw it away immediately. I prefer to use Wella 20 Volume Developer—Wella is my personal choice. While there are other brands which are equally as good, Wella just seems to work better for my own hair. How Long Do I Leave The Soap Cap On My Hair? The soap cap will usually work very fast, so please don’t go away and make coffee or sit down with a magazine. You’ll need to check the progress of the soap cap after 5-7 minutes, and then incrementally at the same intervals. If you see your hair looking obviously lighter, rinse the mixture off your hair immediately using cool water. 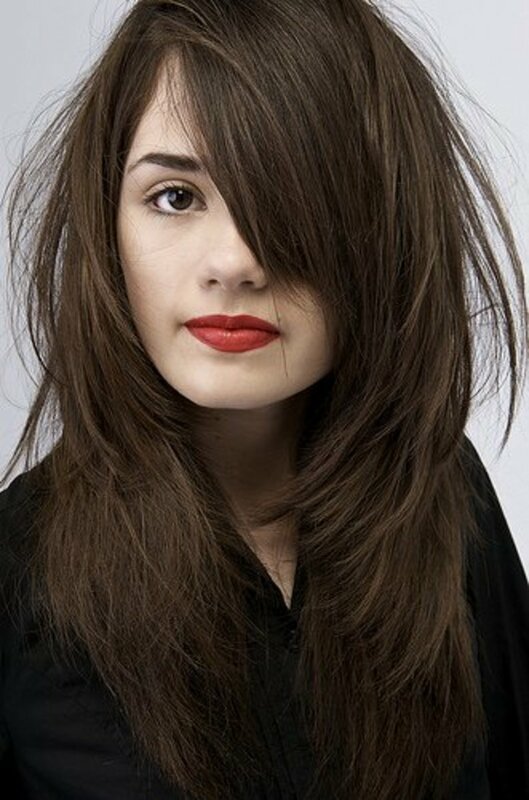 It will help to keep a small snippet of hair (cut from way underneath) close by so you have something for a comparison. You will need to wet the hair swatch or the comparison will be false – as you are aware, your wet hair will always look darker. If you see your hair looking obviously lighter, rinse the mixture off your hair immediately with cool water. It will help to keep a small snippet of hair (cut from way underneath) close by so you have something to compare. You will need to wet the hair swatch, or else the comparison will be false—as you know, your wet hair will always look darker. If you’re going from very dark hair to blonde, you might want to have some toner on hand to cancel out brassiness that could easily result from leaving the mixture in for too long. If you just need to remove excess dye or toner, and you come out orange or yellow, then you’ve stripped too much color from your hair. So, you will need to tone again. Tip: Always time the process from the minute you begin applying the soap cap to your roots, then save this record for future reference. Start by doing both sides of the top of your head first, then each lower side. In doing so, the amount of time the top is covered with the mixture will be equal, otherwise you risk having one side of your hair darker than the other. If the underside is darker, it does not matter as much. You can start with the underside first the next time you do a soap cap if you prefer. You will have noticed, of course, that the underside of your hair is darker anyway because of sun exposure to the outer layers. Hence the reason for leaving that section of your head until last. Also, always rinse your soap cap out with cool water and then deep condition your hair. If you have time, the easiest and one of the most effective deep conditioning treatments I have used, is coconut oil. Apply the coconut oil, then wrap your head and leave it on overnight when possible. Be sure to protect your bed linen with a towel. If overnight isn't an option, wrap your head and leave for an hour or two in the afternoon as you go about your business at home. Activated Charcoal Teeth Whitening Powder | Pure Beauty Award Winning Product By Pro Teeth Whitening Co. I hope this helps you out! Let me know if you try it. Once again, I am not a professional hairstylist. I am writing from personal experience having followed tips and advice I received from a trained hairstylist. Would you try this method to lighten your hair? I have tried everything else, and if it worked for you, I'll give it a whirl! Wow I followed the 6 2 2 6 and added conditioner after a a color made my hair burgundy at the roots and too ash at the ends. It took the wrong tones right out without lightening my hair too much.. Love this! I did the no bleach soap cap earlier and have to say I'm impressed! I do alot of DIY bleaching/coloring and needed to remove/brighten my hair from the latest DIY. (My hair was kind of a muddy, bronze/ dark blonde, probably due to not lifing my hair high enough and using 2 Wella products (color and toner) that were too cool for my hair.) I'm aiming for more of a light beige blonde. I used 6 caps of 30V, 2 caps baking soda, and 3 caps each of a regular shampoo and 3 caps of an anti-dandruff shampoo. I mixed it all together and slathered it on, then placed a shower cap on for 30 minutes. I rinsed and then conditioned with a moisturizing conditioner. After drying slightly, I could tell that it had brightened up my hair and toned alot of the bronze streaks....not all but most. I may have missed some spots but tried to get it as even as possible. My only complaint is that it left my hair feeling gummy. Not sure if I didn't get all the mix out but I rinsed alot....after the conditioner too. I did end up re-wetting my hair a little and putting some Roux Fanciful White Minx in my hair. This is a great, cheap toner to use after shampooing.It's a periwinkle color and works great for brassy tones. I like to save my Wella toners for when I'm bleaching/coloring. I think the soap cap did a good enough job that I can wait to do bleach/color a couple weeks down the road. I also might be able to use a lower developer number when I do bleach, since my hair is lighter by maybe one level. Love knowing about this no bleach soap cap!!! Hope this helps anyone thinking of trying it. :) Thanks Kerry! Hi Aimee, sorry for the wait! You could of course try this product, I have heard good things about it, but as your hair is so very long and also very dark to begin with, I feel like you might still need to lighten more anyway. It is tempting to want to leave the mix in longer when you start with dark hair, and this product you mentioned is 30 volume, so it's harsher than the 20, obviously. I would honestly suggest, first and foremost, a salon, but as you specifically referred to not spending additional money, I have done the following with success - begin this process for some of your hair in form of tips. I mean tips, all over, but then give your hair a break for a month or so then go back and add more tips. As you do this a few times, your overall look will become blonde, moreso than dark, without actually bleaching and treating your whole head. You'd be surprised how much difference you will see toward blonde after just a couple of rounds of tips. Let us know what you do ? This is my first time bleaching my hair, i have dyed it so many times before tho. My current hair colour is a dark brown/black, my goal is to get my hair to a platinum blonde. I had tried using the ultimate blonde hair colour application bottles in the past, i had used 2-3 boxes and my hair changed to a red/ orange cross a dark brown, after about a month or so i dyed it black again. It has now been half a year or so since i last dyed my hair. I have got a purple 1000ml bottle of hi lift V-ULTIMATE VIOLET CREME PEROXIDE for hair ultimate lightning and tonal results with a 30 Volume and 9%, the bottle contains hydrogen peroxide. Ingredients in this bottle are: WATER, HYDROGEN PEROXIDE, CETEARYL ALCOHOL & SODIUM LAURYL SULPHATE, SODIUM CETOSTEARYL SULPHATE, ETHANOL, GLYCERIN, PHOSPHORIC ACID, SODIUM ACID PYROPHOSPHATE, TETRASODIUM EDTA, METHYLPARABEN, PIGMENT VIOLET 23. Im pretty sure the Hydrogen Peroxide is 9%, thats what it says above the ingredients anyways. So what do or can i mix with this, i had already tried to do the bottom little bit of my hair, left it in for roughly 30 minuets max and nothing (that was a tester), my hair is long (comes down to my arse) and a bit thick sometimes. This is a great post! I'm in school for Cosmetology and I don't know why we don't do more soap caps just for lightening. The only thing I would not do is apply coconut oil. This needs to stop being marketed for hair. The molecule for coconut oil is too big for the hair cuticle. As a result it gets jammed in and causes excessive build up. And it can't be clarified out. Olive oil is a better choice. I do not need to lighten much more. I didn't leave the original process (color and 20 volume developer) on my roots long enough before pulling it through the rest of my hair and there is just a slight difference. It's been a few weeks and don't want to fully process my hair again. I just want to even it out a bit before applying toner to eliminate some brassy undertones. Could I just use 20 volume without the added capfuls of 3% peroxide? If so, would the ratio still be the same or would I need to adjust baking soda as well? Is it the baking soda that activates the developer? Tried it for the first time last night and it worked like a champ! I’ve been lightening my hair all this time the hard way like a sucker. I'm so grateful for this post! I thank you so very much. It was well written, easy to understand, and worked wonderfully! ( And is coming from a person with add, who is horrible at following directions.) So...I did the soap cap technique, wanting to get old dye out. Starting with 'Ion Color Brilliance- Radiant Orchid' in which I put highlights in around my face using a cap. ( I don't recommend doing that alone at home, especially if you have a lack of patience.I would pull through too many strands, then accidentally pull those strands through the next hole causing unmanageable tangles. When I started to sweat, all from my head, I could no longer pull through any hair. That's when I decided it would be only ' face framing' highlights. Needless to say, the color I used didn't look anything like it was supposed to. Before putting that color in, I bleached and toned my thick, curly, originally brown-box highlighted-to-blonde, breaking hair. I just wanted a little normal back. My roots were about a half inch in and I was very ready to, at the least, get the 'Radiant Orchid' out. ( The dye was a semi permanent color that would wash out slightly, yet dyed the back of my hair meanwhile, however, dyed it a rose gold color.) Yep, I was ready for a fresh start! I followed the instructions up to the shampoo. I used regular white shampoo except 2 lil caps of 'Head and Shoulders' which I know also takes color out, but is drying to the hair. I also followed along with adding conditioner, but used 1 cap of coconut oil, replacing the last cap of conditioner for the blend. It was the perfect amount and consistency for my hair. I put it in just as I would dye it, starting at my center part, with my roots. I noticed a color change immediately. A drastic blonde came through exactly where the orchid color was, and my roots weren't as noticeable. I knew to hurry, but wanting to make sure I had enough mixture without messing up ingredients, I added in approximately 2 teaspoons more coconut oil, mixing it to well blended and making sure every strand was well saturated. I added the 2nd batch of coconut oil after all the hair was covered and so it would cover evenly. I was shocked, that it all worked so perfectly! ( I am one who is easily tempted at adding more peroxide, baking soda, or usually time, which I didn't this time- hence your warning. Lol) It looks better than it did after I bleached it, before the orchid color. There was no yellow or orange, my roots were well blended with a slight shadow, which looked 'meant', all the color was almost 100% non existent, and it appears healthier. I'm so happy and completely satisfied with the results! Fortunately, I had the 20 developer, and other ingredients already so I didn't even have to leave my house. Thanks so much! Thank you for this. It was informative without being too technical. I think you put this together quite nicely. I am particularly interested in encouraging my Silver White hair to take over and Shine! Most articles are about hiding the gray. No Way do I hide this Gray! I earned it! So I used the 6% hydrogen peroxide and did the soap cap with that strength and it didn't work, washed right out. Should I use a stronger one? So, I've been dying my hair for about 14 years now. I've had every color imaginable. I had dyed it so much at one point, that I ruined it badly. Had to cut it all off. (It was down to the middle of my back and now rests at my neckline) I dyed it black and left it for about a year. But I'm missing the blonde I used to have. I've tried everything to get the black out. I came across your article while looking at ways to strip color. I'm in the process of it right now. I can already see a difference. This is amazing. I know it won't take all the black out, but just being able to lighten it is making me very happy. Thank you for sharing this. Please be aware that hydrogen peroxide mixed with baking soda IS bleach and can damage, overprocess, FRY your hair beyond repair just as easily. My level 8/ dyed hair has blonde highlights. I'd like to lighten all over with level 9/0 (wella koleston) with regrowth (natural 6/7). Is it possible to use a soap bath to decolor the dyed ends and prepare it for the new lighter color? Hair is very short pixie. Hi ninatee, thanks for coming back to share your results. You can share all the photos you'd like on our Facebook wall. If you're not a member on the Facebook page yet, you can follow the link to there, from my profile on this site. Just click on my little head or my name beside it. Hey kathryan! Thank you so much I'm glad to help. The 40 volume is strong, I always use and recommend 20 volume developer because it's safe on my hair when it had been processed so many times beforehand. It's hard to tell what condition someone's hair is in, even with a detailed description. Please feel free to share a photo of your beautiful hair on our Facebook page. If you're not on the page yet, you can go to my profile here to find the link. Thank you sooooo much for your article. Excellent instructions that absolutely deliver!!! I used 40 volume instead of 20 with same proportions for 30 mins. to correct a poor color selection (my fault). Btw I used 2 spoons of bicarbonate of soda (same as baking soda) with 6 spoons of 30% developer and 2 spoons of white anti dandruff shampoo. Thanks so much for this. I had pre-bleached my hair in a diy balayage style but I left too much roots and wanted some more highlights on the top to help blend it in. I tried vitamin c tablets and shampoo but didn’t noticeably work. So I tried this and I wasn’t sure it was working at the time, but I’m so happy with the results, and will def use to keep my roots/highlights blended in. I checked it every few minutes, left it for about 20 mins total cos I was worried it might damage. I now have beautifully blended in highlights! I’m happy to share photos but I’m not sure how. Thanks again! So I have dirty blonde hair and used to dye it all the time. I tossed my bleach powder because I would get drunk and dye my hair. I finally got my thin hair to shoulder length but my natural hair color is such a dirty blonde is really takes away from my skin tone. (Washes me out) So I really want to try this. Have you ever used purple shampoo in this mix which has toner in it? What do you think of that? Also I have 30 developer. Should I dilute it more? Do you think this will make my hair yellow and or coppery? I am just looking for a light lift to blonde to take away from this washed out look I have. Except that peroxide IS a type of bleach. You mean get blonde without persulfates. Hi Joy, your hair seems to be a tad stubborn, but I would suggest mostly because you have come from such a dark color. There are many variations of red/burgundy as you transition from black to blonde. I would recommend trying some bleach next time, but please use a product called Olaplex as you bleach. The detailed instructions are on the packages, there are three steps (rather simple, I've used it a few times), and I know you will achieve a much lighter result. The Olaplex step one will repair your hair bonds somewhat, and can be left on while the bleaching is taking place, protecting your hair and making it possible to leave the bleach in your hair longer. I know you will just love it, it's quite astonishing how well it works. Enjoy your day, and my apologies for the slow reply. I'm sorry I didnt get to read to see if anyone else commented about this since there are quite a bit of comments. However, I did my first lightening with developer with powder mix,coming from somewhat recent dying black, then cutting my hair due to damage. Since the cut, I decided all the damaged hair was gone so decided to go back to the colour that we match well together blonde. I ended up with a burgundy-ish colour. I then read your post above and thought I would do a brush strand test. I use a small paint brush with bristle for my colour application. Usually when done apply colour or mixed colour it changes to the shade that the mixture will produce for is quite visible from the paint brush bristles colour. I tried your method with cork full 30 developer, corks 3% peroxide, lightening powder, little shampoo and baking soda. The test to the brush proved no colour change from the mixture to the colour left behind from my last lightening which turned burgundy on the brush. Not sure why it showed no difference though I let the brush sit in the mixture for max 1 hr though you suggest 5-7 mins I think. Can I do this with 40 vol developer? The lightener cap without bleach ruined my hair it feels like hay! Thank you! Hi Simon....no, no bleach at all using these methods. Please see my other article for a suggestion on bleaching powder. Some people are sensitive to the powder so this is a another method when that is the case. do you use a special bleaching powder for hair or not? To answer your questions in sequence - the soap, you can use regular shampoo - whatever kind you have on hand. Some people use dish soap and this is fine, but keep in mind it is harsher on hair and removes a lot of oil, so if you have hair that has been compromised/over processed, generally tired....please use your shampoo instead. When you add peroide to the mix, you are in essence, strengthening the developer. The 20 volume develoiper (or 30, 40 etc) is what you use to mix with toner or color to apply to your hair. Each has a % of peroxide contained in the product already. The mixture I present in the article is what has worked best for me, without being too strong and damaging. Please always do a strand test first so you can guage how long you will need to leave it on for. Try seven minutes or so, then rinse to see what the color shift has been. Add a little time extra for the next test if it's not light enough. Do not leave it on longer than the time I specified, or do so at your own risk, of course. It can be harsher on some hair, than others, depending again, on the condition of your hair. If you use the coconut oil, the conditioner won't be necessary. Please search YouTube for terms like "coconut oil and bleaching hair" or words similar, to get full instructional tutorials. Some of them are wonderful, and not at all longwinded. Thanks for your prayers and blessing, it is so greatly appreciated. Hello AngelaMR. Yes, indeed. That green swamp is a huge problem when ash toners are used on hair that should be lifted more prior to toning. I appreciate your post! Hi Zoey ^_^ You can lighten your hair to a light orange, then use a good old box dye to achieve a lovely pale ash brown. I prefer Revlon and have done this myself several times with perfect results. It's a refreshing change. Hi, I found that the soap cap mixture seems like a really good idea for lightening my hair, however I do not want to bleach my hair completely. I wanted to ask... how do you achieve a light brown on dark brown/ black hair? I hope you received my questions. Thank you so much! I have not been feeling my best so holding off on doing my hair. Sweet lady can you explain to me something, does the Soap? What kind? Any? Does the Soap and Peroxide lightened hair just like Hair Color does/without does without the ammonia? How long do you suggest leaving it on for darker roots, light brown & some gray? I approve so much of adding Conditioner, but if you use the Coconut Oil treatment , it would not be needed correct? I cannot find the Coconut oil instructions, yikes. I think I am getting Hydrogen Perioxide mixed up with Hair Perioxide am I correct in my thinking what you saying here? Your so precious and so caring to help so many here! You are thought about daily. Please take care May God bless you always. We love you and look forward to you coming back as soon as you can. 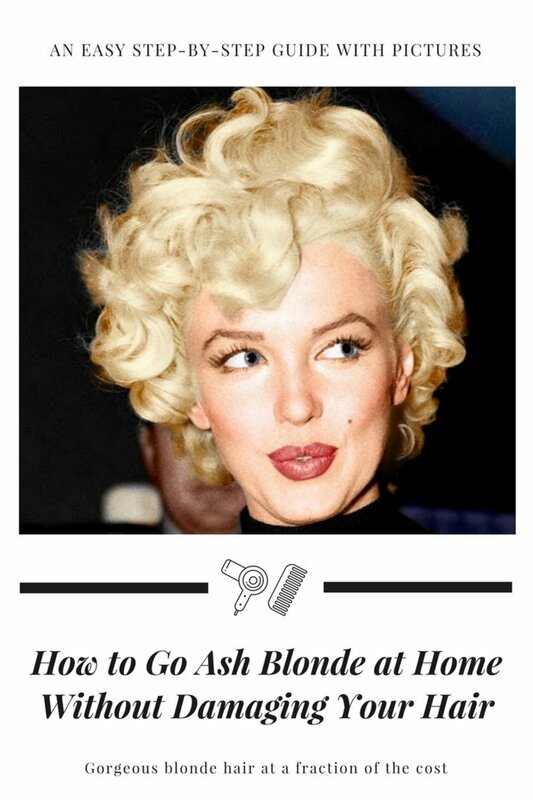 Actually, everyone needs to be aware that there are many, many ASH BLONDE toners which have a GREEN color base and I have seen professionals even make the mistake of turning a patron's hair green! So be careful when using the ash tones! My hairdresser does this after putting highlights in my hair. She calls it root lift. After taking out highlight foils she rinses my hair and puts a soap cap on but its made with 30% developer. It stays on for 2 minutes on my damp hair then she washes it out. She only puts it on the scalp area where the foils did not reach. Not the whole head. Makes highlights look nicer without the dark hair near the scalp. Also grows out a lot nicer. I'm glad you caught the coconut oil suggestion, it seems to make the world of difference. My hair just loved it! Wow you made me take a step back. I was going to use Conditioner and 10 or 20 Peroxide on my mousy looking hair, been using Flaxen or Artic for years, now my gray / and light brown growth is driving me crazy. I need to do the Mid Shaft, that is where my hair looks a dark blonde, horrible! My ends are nearly a white yellow. No color needed except a Toner. Will do that when I do my Roots, lightly on ends. Getting Gray with Dark Blonde and dishwatery blonde is awful. I have highlighted long ago. Hair is dry ...I will try the Coconut oil after you get back. Where are you on Facebook? Yikes help. This is amazing, all things are given here, how to make and even about the ingredients. Nice tips to get blond hair without using bleach. It's safe for your hair as well. Have a happy day, and I apologize for the long delay in answering your question - I have been away. Hi NoemiC, I would not personally use 40 Volume developer as it can be so much more damaging. You can dilute it of course, just Google the instructions to change 40 volume to 20 volume, you will find the correct ratio. You might also look at my other articles pertaining to fixing orange hair, I know that can be a huge problem going from dark to light. Just click on my profile and you will see all the articles listed there. I have posted a couple of suggestions, and if you don't like that gray color, keep reading to the bottom as more information and an additional suggestion has been added. Hi Ash, so nice of you to come by. I have been away for a little while, hence the long-winded response time. A for why you didn't get a same result, many things can change, different water supply, your health, hormones etc. With lovely dark hair in good condition like yours, you might try adding a few bleached highlights, like when foils are added in alternate layers...the use the color you have. The highlights will pick the color up nicely, and you won't need to worry about an uneven finish as you had previously experienced. If you love it, simply add more highlights. Hello Caro, I have been away, please excuse the delay in responding. The answer is yes, that could work just fine. You might also check out my other articles by clicking in my profile as I do have a newer article about how to fix orange hair. With that said, you could also just go back to a medium ash blonde and see if that works first. I think you will be delighted, and it won't leave your hair quite as dark. Hi! ^_^ so glad you popped in, please excuse the delay I have been away. I am so glad you got the result you did, and I hope your hairstylist friend is OK, sometimes us DIY folks have a tendency to frighten professionals. If you haven't read my other article about fixing orange hair, you might try that for some inspiration, just click on my profile and you will see all my articles on the one page. In the description you provided of your hair, you cpuld also try my other favorit go-to, and that is highlighting, or all-over, using just a pale ash blonde box dye. I prefer Revlon, but any would be fine I expect. I do use permanent, but if you're a tad reluctant, and in this case I wouldn't be concerned, you could try to find a semi-permanent to see if you like the result or not. Enjoy! And thanks so much for dropping by. I appreciate your patience. I have naturally dark blonde hair. I lighten every year or so...usually w/supply's from Sally's. But I was in a hurry and wanted to do it "NOW" the other night. So I used a box of Color Silk Ultra Light Natural Blonde, that I had on hand. Well, of course it wasn't strong enough and turned my hair a medium blonde/ORANGE! Very ORANGE. Well, I came across this soap cap site and thought....what have I got to lose?? (except my hair..LOL) I had planned on putting a toner on it anyway. So I went w/the 30 volume developer....no bleach formula (although I did add a tiny bit of peroxide 3%) My best friend & neighbor who used to be a hairdresser & owned her own salon said I was CRAZY to try this!! Said my developer was expired etc. She used to do my hair, (always an awesome job) but we had a little disagreement.....long story! But she refuses to touch my hair anymore!! Can I mix t18 wella toner with just one 3.6 Fl oz. Bottle of 20 developer? Or do i really need two of these bottles to get the best results after doing a soap cap using peroxide instead of bleach powder? Hi! So I went to get my hair bleached from black to get to blond but she didn't leave it long enough and left it pretty orange.... After I think she added some ash grey color to balance the orange tones. So I am wanting to lighten it more using your recipe but instead using 30dev and no extra peroxide. afterwards I will color again with a dark blond ash color. Would all this help get rid of the orange/yellow tones and leave it darker? Hi I have a question. My hair is dark brown-black naturally. I wanted to dye it a few shades lighter like a lighter brown. I've only dyed it once before like 10 years ago I did a light ash brown without bleach and it came out very nice. I bought the same color this time however it didn't come out at all. Only my roots got a little lighter. Should I have bleached my hair before dying? If so, why didn't I have to bleach the last time and it came out nicely. Now I bought a warm caramel thinking to dye my hair again and I'm contemplating whether to bleach my hair before dying or not. Please help. Also my hair is in good condition. Thank you so much! I have VERY fine thin hair. Doesn't grow much. Feels like baby's hair. It's so fine, it almost looks transparent. It has been the bain of my existence. Every day is a bad hair day. I kept my naturally blonde hair very light my entire life to combat scalp show-through. I stopped coloring my hair and it really did help tremendously as far as hair health is concerned. I tried the soap cap method today bec the dark roots were really too dark. Almost black looking. I was TERRIFIED. My hair will burn off in a SECOND. First, I covered my unwashed baby hair in coconut oil and a purple protein filler to combat brassiness. I used 6 capfuls of Ion Sensitive Scalp 20 developer, three capfuls of purple shampoo, three capfuls of moisturizing shampoo, ONE capful of baking soda, and ONE capful of hydrogen peroxide. Seven minutes later and Biolage conditioning balm followed by It's a 10 leave in spray conditioner, this is the BEST my hair has looked in forever. I am so grateful for this post. I'm telling you, I have the finest thinnest hair EVER. This lightened my roots a few shades and blends PERFECTLY with the ends. No more line of delineation. And i still have some depth to the roots. This is a MIRACLE for a person with hair like mine. Zero breakage. Lots of bounce. My hair turned out amazing! Thank you! I've been trying to obtain a rich burgundy color. I used ION intense medium red mixed with 20 developer and my hair came out black. My hair was honey blonde/dark brown on the ends. So my hair was black after the color. The next day, I tried again. Same color mixed with he ION red intensifier and 20 developer and it came out black again. I would like to maybe ligten my hair using the soap bath, without bleach, then dye it again with ION or L'Oréal highlites. Do you think this would be successful? Hey Johanna, for copper/orange, I make a purple, then add a couple extra drops of blue. It works like a charm! Hi Johanna, so sorry I've been absent with health issues, so once again I'm the slowpoke here. I just want to tell you what happened to me this last time I went blonde. My hair had been quite dark, almost black, then I used an all over dark auburn, which hardly 'auburned' at all in the finish. So I proceeded to add higlights, more and more, just gold/brassy highlights. My intention was to continue adding more until i had the bulk of my hair highlighted. I decided then to lighten all over, so obviously the higlights were higher, the balance was various shades of ginger, copper, red, and of course some stubborn dark red pigment from underneath. Now I had arrived at a compilation of colors lol, it looked quite good to be honest, but I was still determined to get lighter, so all I did with my multi colored ambrosia was to lighten the whole head until the lightest past were so close next to white, and the darkest was lifted from red to light orange. NOW it looks like a 'pre' something lol, and ready to finish off. I bought a box color, Revlon Pale Ash Brown. The brown aspect to go over the red/s/s/s, and the lighter pale made the very light higlights so pretty. When it faded, I just stepped down one to a Medium Ash Blonde. Now I'm down to Pale Ash Blonde. Incidentally, when I got to the Medium Ash Blonde, I had THE absolute most precious greyish/just blue/titanium looking highlights you ever did see. I loved it. 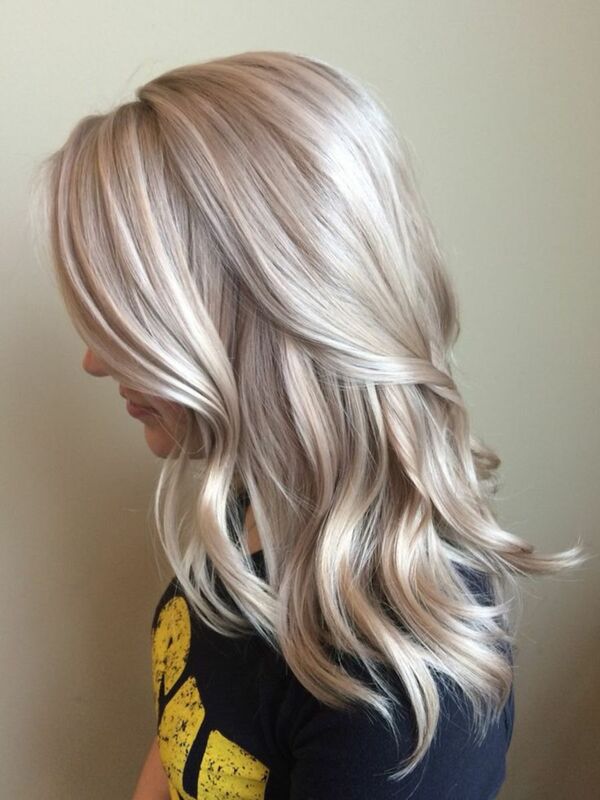 I know this was long winded, but if you're at that fork in the road, I would try the Pale Ash Brown, it's kind of like the hair equivalent of a blur filter on a photo of your face so your skin looks smooth lol. I waited until it yellow down a little and then I have since Pale Ash Blonded it again, so it's really very light. You could try the sequence of the three colors I tried if you like, I feel like with what you have going on, it might be fun. I liked it because I didn't have a specific blonde in mind when I started, and I was able to get a sample of three different, and very lovely looks along the way. I'm so happy for you. awesome job pretty lady :) thanks again too, for coming back to update us, I know everyone who comes here regularly will especially be grateful. Pop back once in a while to see what we have new. I also post little Daily Hacks if you'd like to follow me on Facebook, go to my profile page here on HubPages to honk on that button. ^_^ I have these articles on that Facebook page, and any new articles I publish will be linked from FB back to here. So you can follow here in whichever way is most convenient for you. I love all you ladies here, thanks so much for your continued support. So I made a red toner and a violet toner. The red is a medium pink and the violet is a greyish purple. Wondered about the fact that red and blue make purple, and trying to remove a copper undertone, and using red in the mix. Wondered If I should just use blue. Used them and they made no difference, so think they need to be darker perhaps. Or maybe leave them on longer. Mixed with a white/opaque shampoo, and left on maybe 5 min at most. I tried to put the purple on the roots and red on the tips. I may try again, curious about your opinion. They are discount shop food colours, but I sort of doubt that matters. May try again in a few days, and make them darker and leave them on longer! Hi! Gosh what colour am I now! Heh ok. I had a nice light golden blonde with about 4 inches of virgin regrowth, that was a medium mousy blonde. The underneath was a very light auburn brown. So I did a med beige blonde to all of it. The virgin hair is now a med blonde with a tinge of ginger. The rest is a med blonde with a tinge of green. The underneath is a dark blonde with a tinge of red! Its now been washed twice and looks better-ish. Im thinking, tone it all with red, to even it out, then tone again with violet? Or go to the hairdresser and start over, OR redye it all, but I think with the roots (4inches worth!) being watm, the rest being cold, no "all over" anything is going to even it out? The condition right now is quite good, I don't want to compromise that again. As bad as it sounds, its really not that bad. Since its been washed, its a bit of a frosty blonde, but the roots need some violet but I worry what that might do to the rest which is borderline ok.
Hi! You're welcome! I hope people find it useful! And thanks again! A small update. I washed my hair today, and my hair still feels as soft as the kids hair, which has never seen a dye job, a curling iron, etc. It looks as shiny as if I had never colored it, ever. I'm very, very happy with the Ion version of Olaplex! I'm glad that you mentioned Olaplex earlier, because I may not have researched it! Thanks again! ...thanks for sharing, I haven't use that Ion product but I had it on my try-it list. Good to know! Thanks also for sharing your results with the clear product too, a lot of people will find this very useful. We appreciate you taking time to come back. Hi! I did achieve success with my hair color! Thank you for asking. I did it yesterday. If it is okay, I wanted to share another method for removing old hair color, for all those people who are allergic to ammonia. I read on the internet that you can use clear demi-permanent color with 20 volume developer (instead of the 10 volume you would use with a demi color). I used the Clairol professional Clear Mix tones, with the Clairoxide 20 volume developer (both of which I got at Sally's). I read that this combination is very similar to something they used to make, called Luminize, or something like that... I did a strand test first, and 20 minutes was enough to lift the color from between a 6 and a 5, up to around level 7. And, the thing I loved about it, I didn't go through the copper and yellow-orange stages. It was almost like it took the color that was on my ends, and lifted it 2 shades. I didn't have to tone my hair! Granted, you can see some of my copper undertones, but it's not obnoxious. Overall, I'm very happy with my results! ...Oh! And one more thing. I got the Ion color brilliance dupe of Olaplex, and did the stand alone treatment, and my hair feels silkier than before I colored it! Yay! Thanks for all of your help! I have to go help the kids now, but thanks again! Hi Kerry! I'm back at it again! Haven't touched my hair in months, and couldn't stand the roots, so did a med beige blonde. I don't know why I keep doing beige blonde, for yet again, it was to cool, and gave me greenish tinge. Did you write an article on home made toners? The roots (which were virgin growth) are ok, goldenish, its the other that isn't great. How much red food colour do I mix in, and was it shampoo or conditioner? And how long to leave in. Thank you!!! Good morning, I did have a lovely weekend, thank you. Just checking on you...did you have success with your hair yet? Oh, that's good! Have a good weekend! Hi TwinsMother, oh yes I did that and bought some hair extensions to match. I was concerned about finding the correct color, but I got the Jessica Simpson Hairdo extensions in Strawberry blonde, it was a perfect match I was delighted! Good to see you again...I would be inclined to lighten and follow with a color. You may need to do this mixture a couple of times to lift the color enough, although that's not unusual with this method. Lol! No problem. Glad I could help! ...I would say my color is between a level 6 and a level 5, with warm undertones, and a slight copper cast when the light hits it. I haven't colored my hair for around 8 months, but my skin tone looks best with gold tones, as opposed to ashy. ...Really, I'd be more interested in deepening the level of the final result, instead of toning out the yellow/golden undertones. Also, I should also probably let you know that I have several inches of virgin hair, and my roots are between a 5 and a 6, and I want to go for an ombre effect, the way it was naturally (my ends were around level 7), before I started coloring my hair. I'd only be lightening my ends, and leave my roots natural. Thanks! Hi TwinsMother, oops, vitamin C lol, yep. Okie doke, so neither demi or semi have ammonia, so take your pick. Both only deposit color onto the hair, although as you'd be aware, the demi will last a couple of dozen washes, the semi, only about 8-12 depending on your hair. When you lighten then use it, they can last longer (both). As for the lemon juice yes that should be fine as it will activate the baking soda. I haven't used Olaplex in this 'recipe' yet, but I don't see why that wouldn't be beneficial. Having said that, you might do a strand test first to be sure. There's only one thing I would say as far as your developer choice, the Olaplex makes lightening take so much longer, this inconvenience is offset only by the fact you can then leave bleach mix on your hair for considerably longer. However, it also means you need to step up the volume on your developer, so with that said, the 20 would be a much better option. 10 is generally not good for lightening anyway, it's best for depositing darker shades of color to your hair. As for the toner choice, what color are you at the moment? and I suppose the next question would be the same, only after you have lightened. If you're inclined to orange out like me, which you mentioned, you'll need to lighten a fair way first before you tone anyway, or your other option,use a color. I quite often use a color instead of a toner. Oh and please know, if you missed it, developer does also contain peroxide, and I'm sure you caught that in the article, but I felt I needed to restate that as you said you had allergies - one can never be too careful. Have fun TwinsMother, thanks for coming by, and please feel free to post more and let us know your current color please? Oops! I meant to say that I've used vitamin C with shampoo instead of calcium! Lol! Hi! I just wondered if it is possible to use the soap cap mixture #2 (The one without bleach. I'm allergic to ammonia!) with 20 volume developer, and the Olaplex (taking it down to 10 volume). I'd probably want to use lemon juice instead of liquid peroxide in my mixture. Would that work to bleach out remaining hair color? I've tried calcium mixed with shampoo several times, unsuccessfully. Also, I know from previous experience that I'd have to lift to a level nine to get past that awful orange-yellow stage. (I pull orange.) Do you have any recommendations for toner to deepen it to a level 7, since I am allergic to ammonia? Should I just use demi-permanent or semi-permanent color ? Thanks so much! Hi Jeremy, thank you for your input, but yes it is important to do strand test and time the result to avoid any breakage. You could use some purple shampoo and/or conditioner after shampooing, and probably won't need it every time, to keep any mild yellowing under control. This will eliminate, or at least slow down, the number of times you need to tone throughout the year. Try to comb your hair gently with your fingers while you have conditioner in it, and don't rub too vigorously when you dry your hair. Just blot your hair and allow it to air dry. Avoid heat as much as possible until your hair regains its health. If you do need to use heat, you could try a heat protector spray. As for the dilution of the Olaplex, I looked and don't have any left, aside from one sachet of the number three, however, being only 1/4 ounce sachets, you can imagine that's only about one tablespoon of product, so not much water is needed. When I used the # 2 Olaplex last time I forgot to take my glasses to the other end of the house and was too lazy to walk back to my office, so I just guessed and added about enough water to make 1/4 of a bottle of liquid, including the Olaplex - into a color application bottle I mean. I had saved one after a coloring for just such an occasion. It was really just a common sense thing for that incident, although I would definitely recommend getting familiar with the correct amount. Take care, let your hair rest, and keeping your ends trimmed just a few millimeters will also help when you do your hair, because when those ends are gone, it will minimize little tangles that can pull and break hair so easily. I really hope this works. my hair is still currently platinum blonde but I have patches of missing hair, but not bad enough where I can't cover it up. I was going to give up but I know there's a way to have healthy platinum hair. I'm just really scared to loose more hair. can you believe I didn't cry!? lol can you go into grater detail about the diluting? Thanks so.much for getting.g back.to me, I will definitely look into it! Hi Saundra, I agree the bleach can be too harsh, especially when hair is stubborn, as can happen with course hair. Have you ever heard of Olaplex? I am going to write an article on my experience using it, as I used it recently for the first time and BOOM, blonde in two shots (1 is also possible, believe it or not). Honestly it really is the bomb. Let me tell you quickly though how easy it is to use, because there are so many articles out there on the net and what I discovered was, I read so much from so many different people before I used it, that I was almost worried about trying it at all! So, Olaplex is a product that involves three steps. It has been created to repair broken bonds in hair that has been damaged due to color or bleach, or to protect hair that is being processed for the very first time, so that does not happen. Step 1, do this if your hair is damaged already...which you can do once or twice a week prior to bleaching. All you do is apply it, diluted, to your hair, and leave it on for - (I left mine for 15 minutes, without going back to look on my product. Then rinse) Follow with step two. Same process. The longer you leave it on the better, nothing new will happen, except a perfect miracle. I can talk about this stuff enough to do it justice, seriously. Step Three is more like a once per week conditioner. 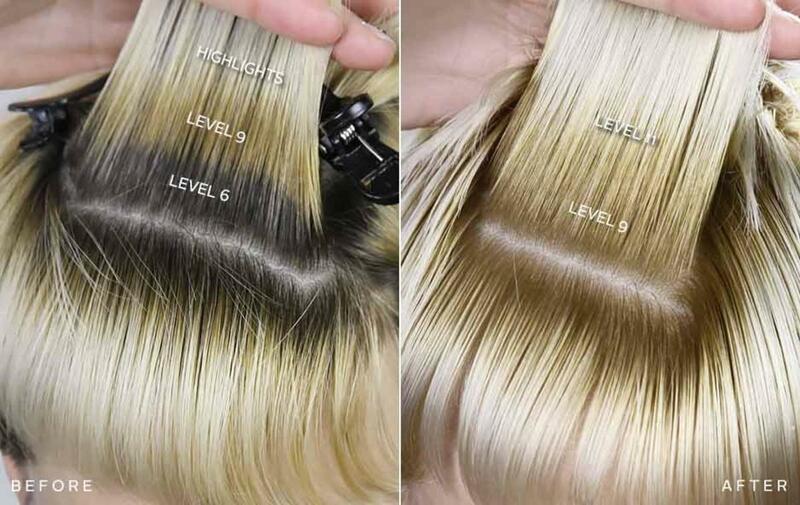 Now, when you bleach, the Olaplex makes the process take longer, and if you're using 20 volume, you will need to use 30, if you're using 30 volume, you'll need to use 40, etc. In your case however, I would truly stay away from 40 volume. You will likely not need to use it anyway. Mix up your bleach solution, 1 oz of bleach , 2 oz of developer, and 1/4 oz of Olaplex. Add it into the already mixed bleach solution. Apply as normal. Step two, after rinsing your bleach out, dilute and add the Olapex number 2. Leave for 20 minutes or so, I didn't time too carefully, the longer it's on the better. Then I rinsed and conditioned. I didnt use the Number three packet until the next week. I know I've written a lot here, but the actual Olaplex steps I feel I wrote enough for you to know, and not enough to bamboozle lol. Olaplex was intended for salon only use, however, I purchased mine twice on Amazon in measured 1/4 oz packets, one of each of the steps, 1, 2 and 3. For around 13.99. I KNOW this will help you, please let us know how it works for you:) I know this will not only help to repair your hair like you won't believe possible, but it will also help you achieve the color you want, without killing your hair. Thanks so much, I will post a more detailed Olaplex article in the next little while. My reader will truly appreciate your first hand input, so please do come back to visit. I have naturally dark red course hair. for the past several months I have been attempting to go platinum, but the bleach is just too harsh. after touching up my roots the first time my hair fell out. I'm still not giving up in platinum! ! so how can I continue to do my roots without loosening all ny hair?? Oh hey Susan...sorry I missed you I was away out of town for a few days. I'm so glad that worked for you. Just keep in mind, if that toner isn't too effective, you will probably just need to lighten a tad more. Hi Susan, thanks for the kind words, I do appreciate it ^_^. We are in sync...my gray is popping through also, I have a nice little firebreak going at the moment! I think the bleach bath will work fine, at least it does so on my own gray hair areas, however you also mentioned your hair was a little tired, so what you could do, is apply some coconut oil to your hair first, allow it to sit for an hour or two if you can spare the time, then mix and apply the bleach bath mixture. Do your roots last, because they will process faster. So mid shaft, ends, then roots. This is the way I apply it, as the ends are often dry and porous too. I would suggest you try the beige toner, or the mix of the beige and white lady toners listed in my Wella toner and developer article, I really do think you will love it! Also, and I'm sure you saw me mention this a dozen times, but I use 20 volume developer, it is sufficient for the job and obviously not as harsh as the 30 or 40 volume. Thanks so much for visiting Susan, have a wonderful week! I just have noted my root are orange not my entire hair. I would love to try the soap cap then a toner. I'm just not sure if I should go back th the Ion toner or try a new brand that might cover my grey better or will the soap cap help cover grey ( Wella) and what shade?? PS I absolutely love all your comments and advise. Hi Audrey, this method without bleach is much more gentle, however, it also depends on the condition of your hair before you begin, obviously, and how long you leave it in for. This method is technically "bleaching", because of the peroxide and what it's doing, however, it is a method that many people like to use because there are some chemical reactions to be had from using the usual blonding bleach powders. Not everyone can use them. Thanks for visiting, I hope this helped answer your question. How damaging is this to my hair? Are you wanting to know about a bleaching powder product, or the different brands of developer? I have used other brands of developer over the years, but I do find the Wella 20 volume developer the best, mostly due to the lovely scent, which s not overpowering, and it's also really gentle to the scalp. I haven't had any issues with this one whatsoever. Please follow the timing instructions well though, everyone is different. If you were talking about bleaching powder, I do have another article about that as well. Hi eya, I would use it maybe once per month, or just until the hair is light enough, then stop. If you repeat this process too often over a long period, you can damage your hair. Best to tone once you have achieved the desired amount of blonde.